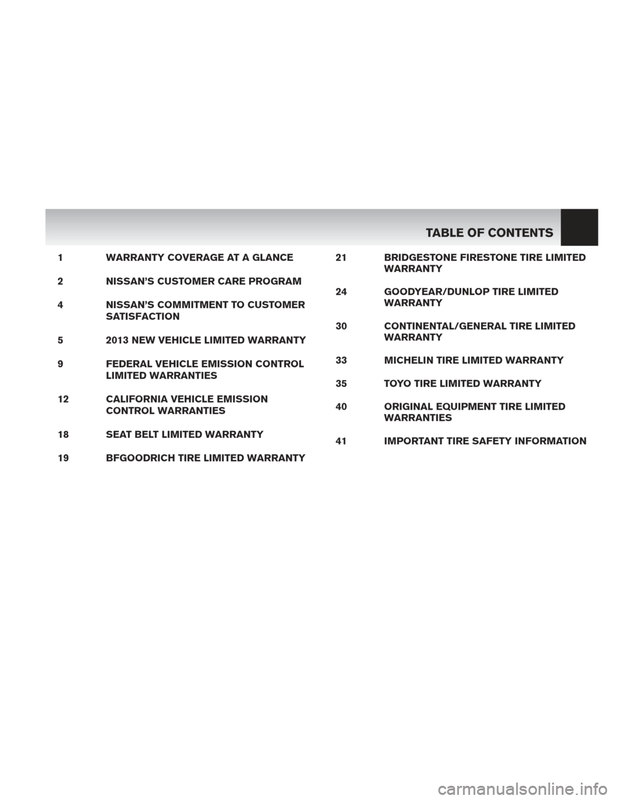 * See the express terms of the appropriate warranty printed in this booklet, which terms control if there is a conflict with this chart. 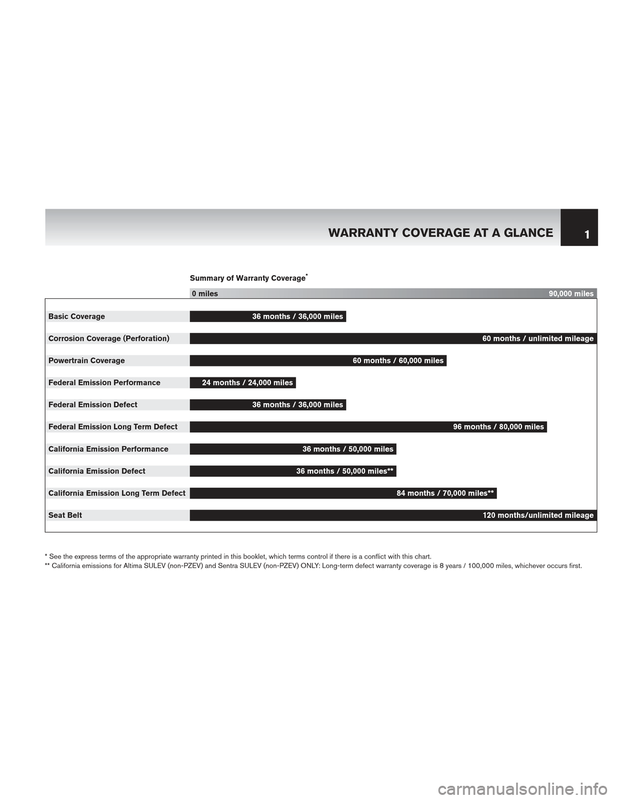 ** California emissions for Altima SULEV (non-PZEV) and Sentra SULEV (non-PZEV) ONLY: Long-term defect warranty coverage is 8 years / 100,000 miles, whichever occurs first. resolve the matter for you. of Better Business Bureaus, Inc. (BBB) . 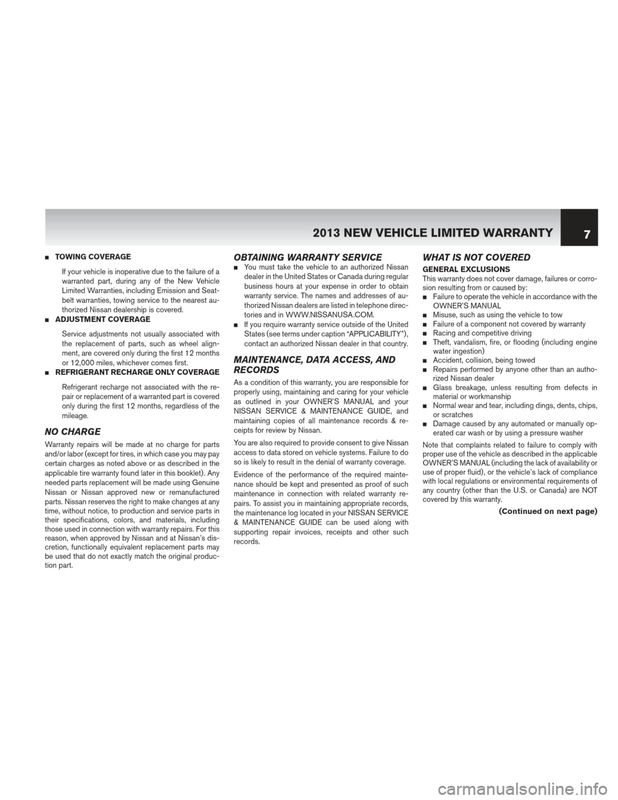 information as described in Step 2.
does not require you to first use BBB AUTO LINE. state, or call the BBB AUTO LINE number listed above. 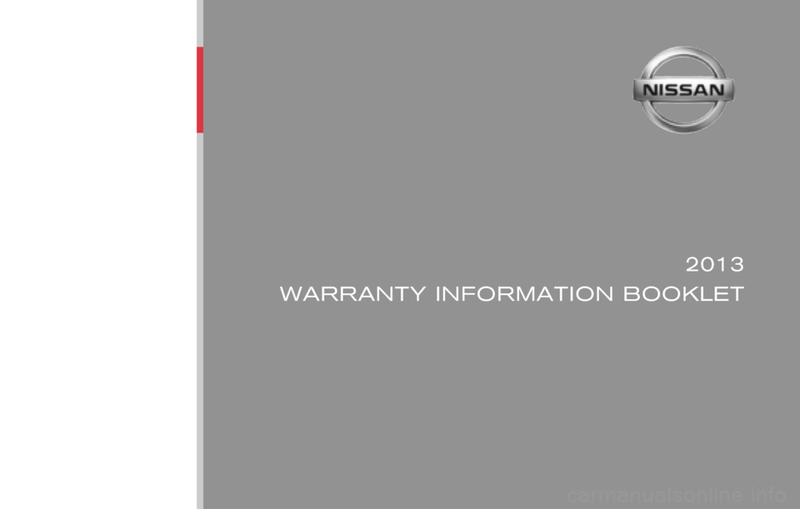 tion Booklet, and 2013 Nissan OWNER’S MANUAL”. and you will be informed of Nissan’s decision. cerning consumer rights in your state. the U.S. Virgin Islands) , and Canada. 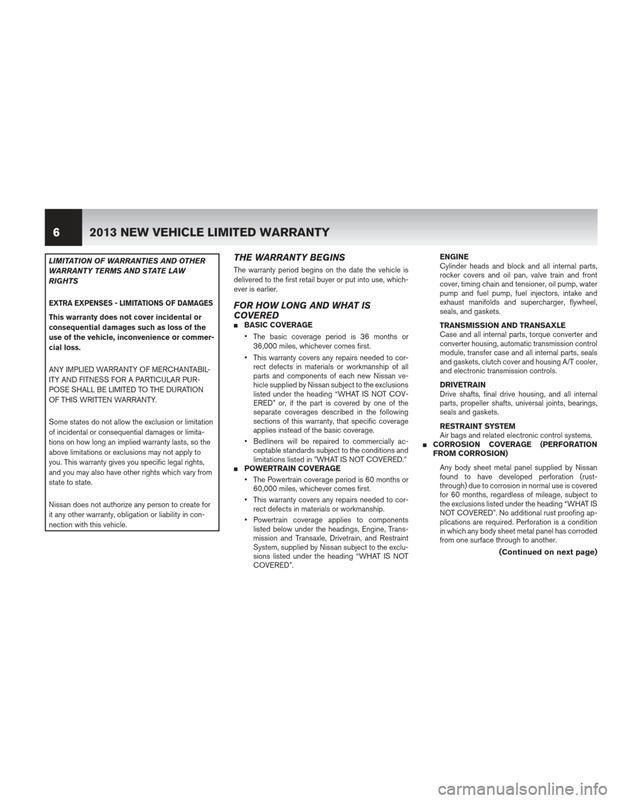 Your Nissan vehicle is manufactured to meet U.S.
compliant or similar process before filing suit. 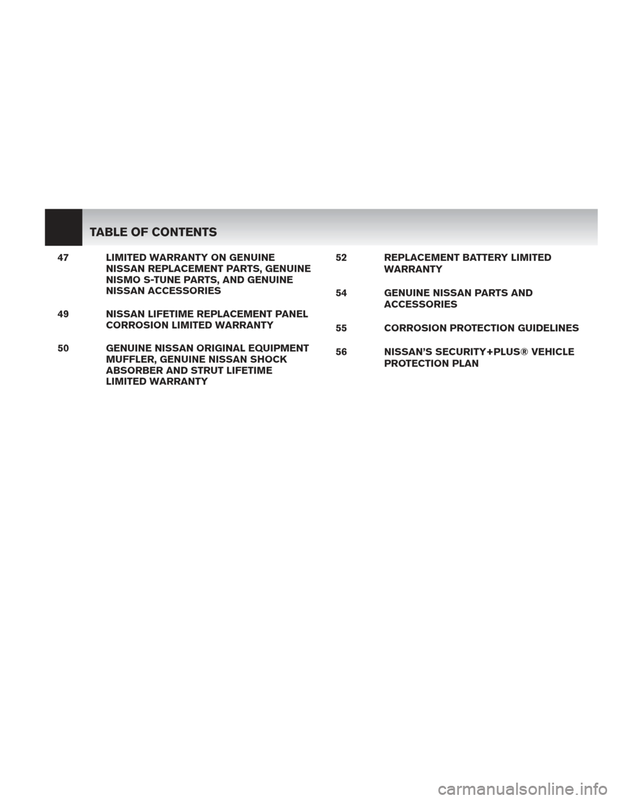 1 Nissan indicates Nissan North America, Inc., P.O. Box 685003, Franklin, TN 37068-5003 which distributes Nissan vehicles in the United States. 2 See the Owner’s Manual for information relevant to proper operation of the vehicle, including the recommended fuels and fluids. 36,000 miles, whichever comes first. applies instead of the basic coverage. 60,000 miles, whichever comes first. rect defects in materials or workmanship. from one surface through to another. thorized Nissan dealership is covered. or 12,000 miles, whichever comes first. 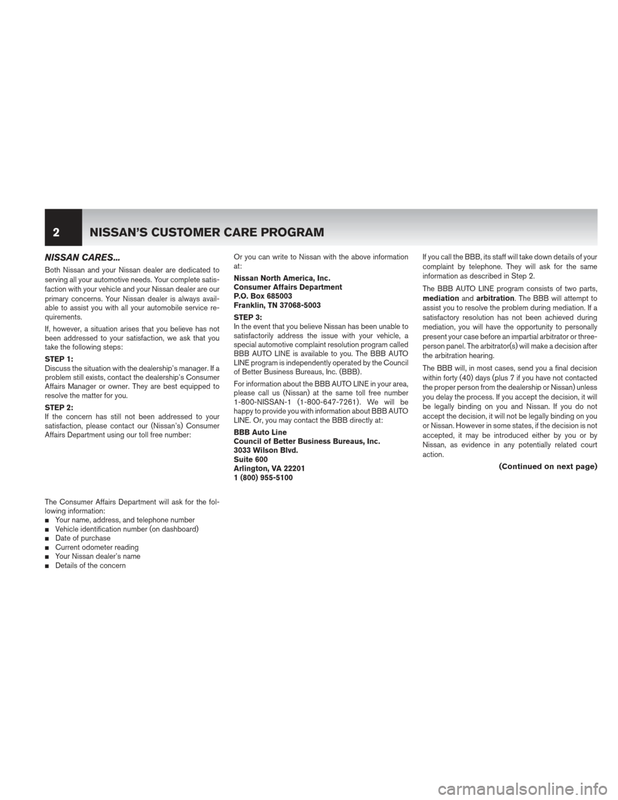 contact an authorized Nissan dealer in that country. 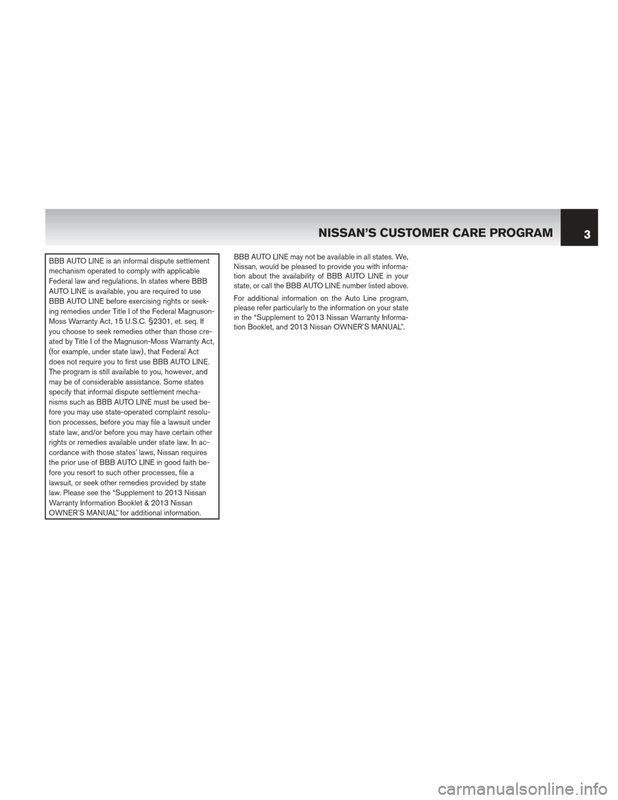 ceipts for review by Nissan. 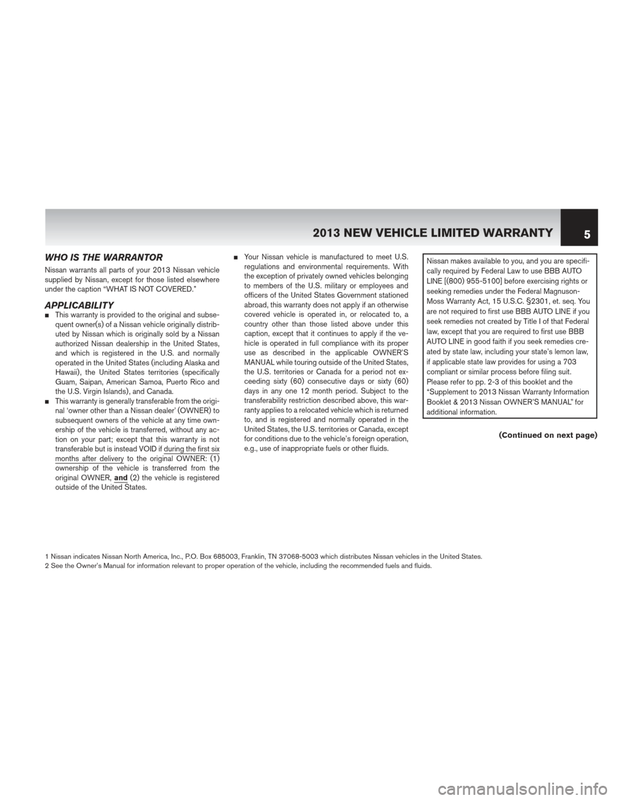 so is likely to result in the denial of warranty coverage.